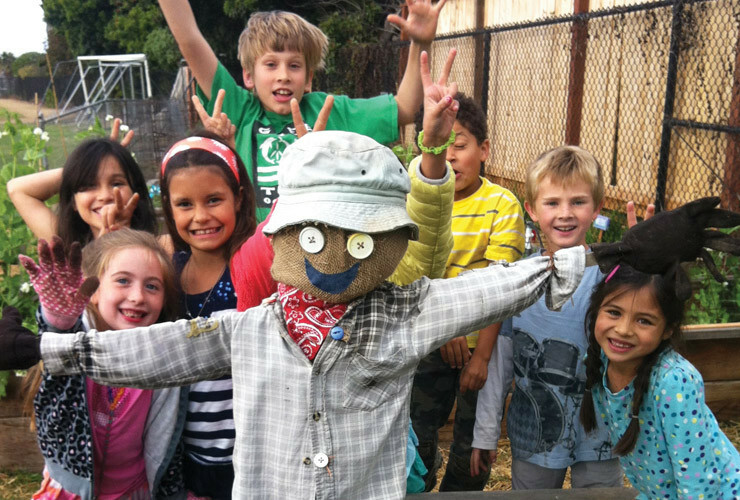 The Sage Garden Project recently awarded over $350,000 to the garden and nutritional science programs of several schools located throughout California. In addition to the cash award, which ranged from $5,000 to $50,000 based on need, campuses will receive lesson plans for garden and nutritional science and a fully-equipped cooking cart for the garden or classroom. Sixteen schools total earned the cash award, and 15 will be establishing the Sage Garden Project on their campuses to promote healthy eating. A majority of the awardees were from San Diego County – the list included Ocean Knoll Elementary in Encinitas, Anza Elementary in Vista, and Skyline School and Solana Vista Elementary in Solana Beach. The Sage Garden Project originally operated a pilot program at Ocean Knoll Elementary for the last four years to lay the groundwork for the current expansion into 15 additional schools, which are set to implement their programs in the 2015-2016 school year. The program, which is just one leg of the Anthony Cerami and Anne Dunne Foundation for World Health, aims to reduce the occurrence of malnutrition and type 2 diabetes in the community’s youth by providing tools and inspiration for a healthy lifestyle. The program provides garden design and implementation, cooking facilities, lessons, planning, staff, and support for select schools with at-risk students. Standards-based lessons come to life with hands-on lessons that are centered in the garden.